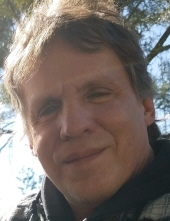 Brian Lee Carlberg, age 55, of High Point, Iowa, the son of Richard LeRoy and Bonnie Ione (Schwenk) Carlberg, was born February 22, 1963, at Ida Grove, Iowa. He died on January 14, 2019, near his home at High Point. Brian grew up in Ida Grove, Iowa and Leon, Iowa. He graduated from Central Decatur High School in 1981. Over the years Brian did bridgework, concrete work, factory work in several window factories, and was currently employed at Osceola Foods in Osceola, Iowa. On December 4, 1988, he and Marlene Elizabeth Bear were united in marriage in Leon, Iowa. They lived in the High Point, Iowa area and raised their two daughters, Katie and Ashley. In his free time, Brian enjoyed reading, gardening, mushroom hunting, playing video games with the grandchildren, grilling out, and the time he spent with family and friends. Preceding him in death was his father, Richard Carlberg; grandparents; mother-in-law, Dorothy Bear; and great nephew, Cory Plym. Survivors include his wife, Marlene Carlberg; children, Katie Carlberg and Scott Hewlett of Mt. Ayr, Iowa and Ashley and Cory Schaff of Osceola, Iowa; three grandchildren, Ashtyn Benesh, Makenzie Benesh, and Corban Hewlett; mother, Bonnie Carlberg of Leon, Iowa; siblings, Larry and Glennda Carlberg of Des Moines, Iowa, Diane Plym of Pleasant Hill, Iowa, Doug and Kim Carlberg of Sarasota, Florida, Kevin and Laura Carlberg of Indianola, Iowa, and Kerry Carlberg of Urbandale, Iowa; Marlene’s dad, Roy Bear of Weldon, Iowa and her siblings, Teresa Jordan and Ed Rauch, Dan and Jean Bear, Alisa and Randy Reed, Terry and Lorrie Bear, Dannette and Ron Graham, Larry and Christine Bear, Diane and Jesse Ross, Loretta and Scott Marcus, and Pam and Pat Murphy; many nieces and nephews; and other relatives and many friends. Memorial services will be held at the Slade – O’Donnell Funeral Home in Leon, Iowa at 10 a.m. Wednesday, January 23, 2019. A visitation will be held at Slade – O’Donnell Funeral Home on Tuesday beginning at 4 p.m. with Family receiving friends 6-8 p.m.
To plant a tree in memory of Brian Lee Carlberg, please visit our Tribute Store. "Email Address" would like to share the life celebration of Brian Lee Carlberg. Click on the "link" to go to share a favorite memory or leave a condolence message for the family.